It’s easy to be charmed by the fruity cocktails and dreamy sunsets of Waikiki, but as far as things to do in Oahu, there’s no better place to head than north – the North Shore, that is! Easily explored in a day, we’ve compiled the ultimate day trip guide to the Oahu North Shore, created to ensure you don’t miss a single sun-kissed hotspot. Now all that’s left to do is book your flights, organise that American visa and start dreaming about those Instagram-worthy photos you’re going to take. The best way to explore the island of Oahu is to hire your own car. Whether you’re after a slick convertible, soft-top Jeep or family sedan, there’s an option to suit all travellers, and the many Honolulu-based rental companies make it an easy process. Once you’ve got your wheels, it’s time to hit the road. 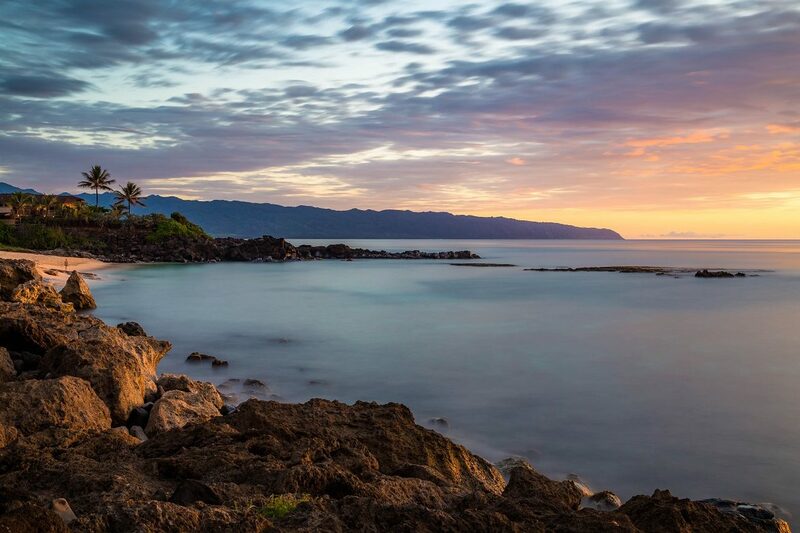 Haleiwa is considered the gateway to the North Shore Oahu and is the perfect first pit stop for keen explorers. It’s roughly a 50-minute journey from Honolulu (provided you don’t hit one of the city’s infamous traffic jams) along the Interstate H-1 then Kamehameha Highway. This former sugar plantation town turned laid-back surfer hub is a world away from the crowded, tourist-filled streets of Waikiki. An eclectic mix of surf shops, art galleries, boutique stores and restaurants line the main drag, offering plenty of opportunities to purchase a quirky souvenir or chow down on a snack (it’s never too early for a shaved ice, right?). 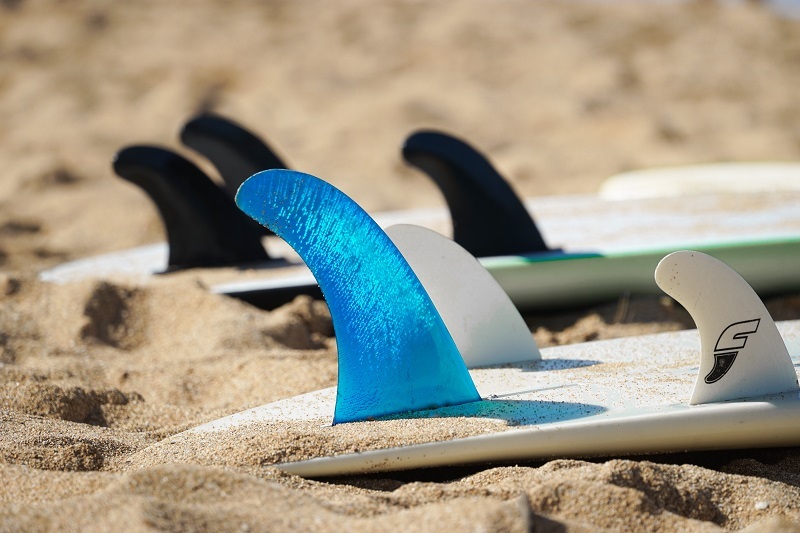 Welcoming locals are quick to share their tips on everything from the best North Shore surf breaks to which food truck serves the tastiest grilled shrimp. Just a 20-minute drive from Haleiwa is Laniakea Beach. This popular shoreline (easily identifiable by the large number of cars parked nearby) is one of the best sites along the Oahu North Shore where you can encounter the endangered green sea turtle. Also known as the Hawaiian honu, the turtles call Laniakea Beach home, and can be found basking in the sun on the white-sand beach, or swimming in the shallows where the waves break. There are often conservation group volunteers on hand to ensure no one gets too close to these docile creatures, and to answer any turtle-related questions. All this sightseeing is bound to build your appetite, so as soon as you hear your stomach rumbling, there’s only one place to go: Pupukea Grill. Food trucks have become an iconic part of the North Shore landscape, and Pupukea Grill has quickly gained a cult-like following among locals and tourists alike. Established in 2008, Pupukea Grill serves up all the quintessentially Hawaiian dishes you’d expect from a good North Shore food truck. Think acai bowls, fish tacos and poke bowls – all made fresh on-site. The spicy tuna poke bowl is a particular favourite. Just a few minutes back down the Kamehameha Highway from Pupukea Grill is the stunning Waimea Bay. 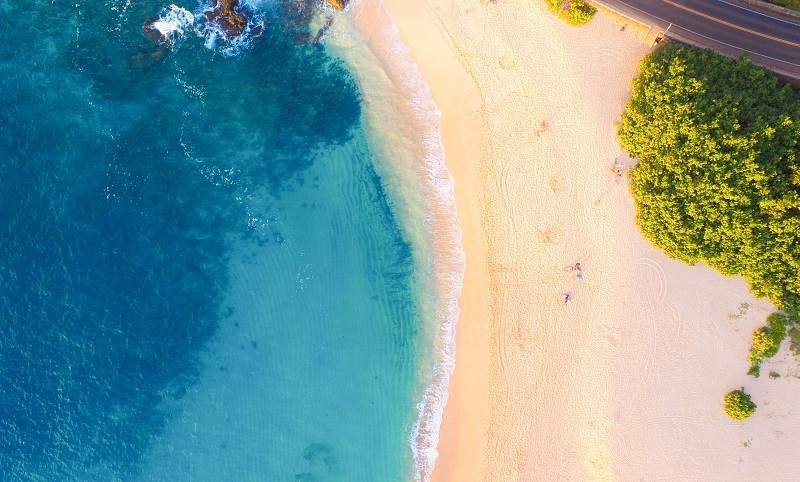 While the sparkling, crystal-clear waters are tempting enough, Waimea Bay is also one of the North Shore’s premier big wave surf spots, renowned for 30-foot swells. Never fear though, Waimea’s giant waves are a winter phenomenon. During the warm summer months, visitors can expect a much calmer bay with conditions ideal for swimming, snorkelling and body surfing. And if you’re brave enough, no trip is complete without jumping off the notorious Waimea Rock – a 10-metre high monolith guaranteed to test your nerves! If there’s one thing you must eat on your North Shore day trip, it’s a slice of the divine chocolate haupia pie from Ted’s Bakery. Located along the Kamehameha Highway, just five minutes’ drive from Waimea Bay, the bakery is the brainchild of Ted Nakamura, who established it in 1996. It has since become a mecca for sweet-tooths and dessert-lovers across Oahu. Visitors travel to devour not only the famed pie, but a delicious array of other treats, including doughnuts, pastries, cakes and cornbread. Which afternoon pick-me-up will you choose? Finish off your North Shore travel with a cultural display you won’t soon forget. Just a 20-minute drive from Ted’s Bakery, the Polynesian Cultural Centre is a completely immersive experience offering a deeper insight into the rich heritage and ancient traditions of the people of the Pacific Islands. You’ll learn how to throw a spear and dance the hula, paddle a traditional Tongan canoe and discover the significance behind Maori tattoos. The night concludes with an epic luau involving an enormous buffet feast chock-full of Hawaiian delicacies and a spectacular performance featuring fire-twirling, dancing and music. Ready to say ‘aloha’ to your own road trip along the North Shore? Find flights to Hawaii and Honolulu on Webjet today. You can even book your rental car – be it a red convertible or a more practical sedan – on Webjet too!